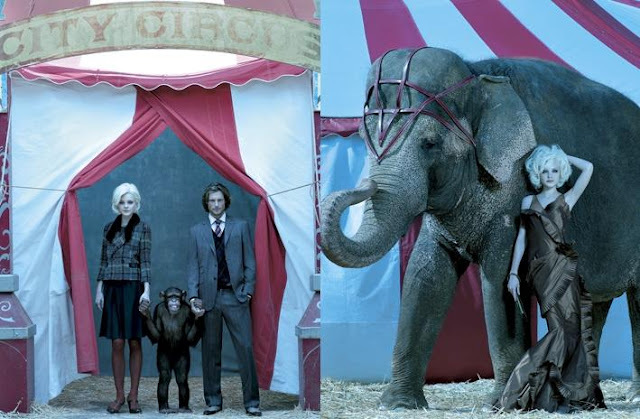 I just came upon this amazing Circus-themed photoshoot entitled "The Chicest Show On Earth" by photographer Laspata DeCaro with models Jessica Stam and Gabriel Aubrey and I am simply in love with it. I can't find out if this is a magazine editorial or a campaign. Some people say its for an Americana Manhasset catalog, which is a strip of high-end stores along Northern Blvd on Long Island. That may make sense, because 38 images are just too many for an editorial. The blue-ish hue and the way Stam's eyes sparkle is just incredible. 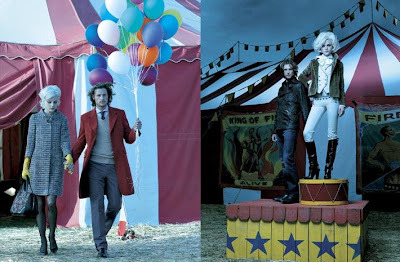 If you know more about the shoot or who was the stylist, please let us know in the comment section below.